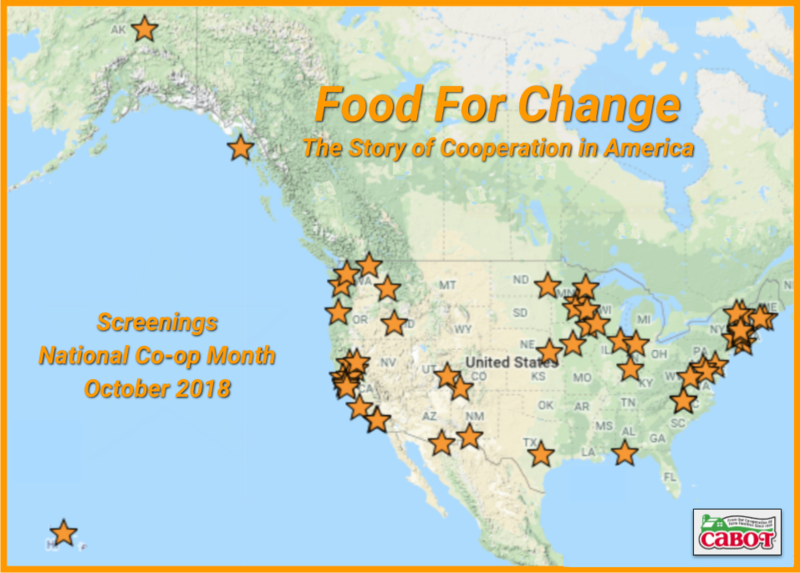 Menomonie Market Food Co-op will screen the film at 7 PM on Thursday, November 3rd, in the Menomonie Market Food Co-op classroom. A small, thoughtful group of Menomonie residents started a food buying club and then a church choir loft-sized food store in 1973. Just over four decades later, the cooperative they launched has opened its newly-built 13,000 sq.ft. Menomonie Market Food Co-op. The board and staff of the Menomonie Market Food Co-op are committed to the community. We strive to provide high quality natural and organic products at fair prices, while supporting local producers and the local economy. The co-op also offers community education and supports numerous organizations with cash and product donations. For over 40 years Menomonie Market has bounced back from adversity. The Market is a proven example of community leadership, staying power, and innovation. The co-op was honored to receive the Greater Menomonie Area Chamber of Commerce “Business of the Year 2008” award, and “Community Ally of the Year 2015” at the 2nd Annual Qubie Gayla at UW-Stout. This is truly a reflection of the co-op’s vibrant presence in the community. We invite you to read our full autobiography written by the owners of Menomonie Market Food Cooperative and by MMFC’s remarkable staff. It’s unfinished because we continue to change and grow. MMFC was born when mimeograph machines and land lines were how we communicated. And we continue to thrive in the age of emails, websites, blogs and cyber publication.